This is cotton embroidery fabrics which is videly used in making garments, It is used in bottom or top wear, we developed different patterns and designs as required by buyers. 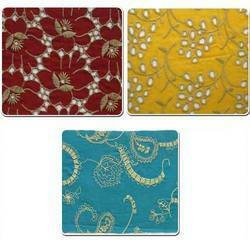 also we offer it in different fabrics and designs. Manufacturer & exporters of cotton cut worked / embd. fabric for clothing, textiles, home line ect. 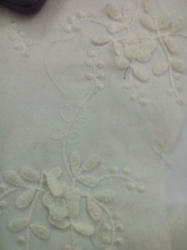 As per the different requirements of our customers, we are involved in providing Neck Embroidery Fabric. Sach Fabs Creation Pvt. Ltd.